In THE TAYLORED WORD, Taylor answers all your relationship questions and comments on her topics du jour!. 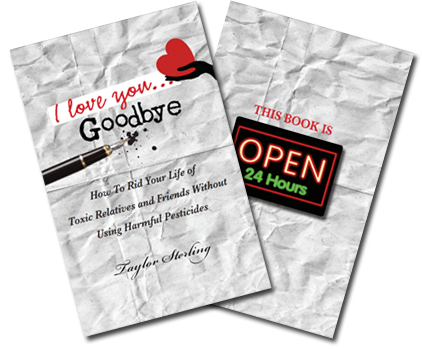 The show is based on her best selling book titled “I Love you Goodbye, How to Rid Your Life of Toxic Relatives and Friends Without Using Harmful Pesticides,” a humorous self-help book, which has sold out a record 20 times at Ye Olde Warwick Book Shoppe. Taylor explains, “this book is not about me, my life or who I am, rather it is all about sharing simple tasks and stories that will resonate with the readers, as they acquire the knowledge to create a positive, passionate life.” “This is the ultimate “comfort food” self-help book that only packs on pounds of positivity and passion.” Taylor also teaches meditation and is a Life Coach. Taylor is the Station Manager and co-host on “THE FRANK TRUATT MORNING SHOW,” the #1 drive time show, Monday to Friday from 7am – 9am. Jesse Dwyer is the Mayor of Greenwood Lake in the Town of Warwick and a local business owner. Tune in and join the conversation, share ideas and learn the latest about Greenwood Lake and Orange County.